Manchester United are engaged in a three-way Premier League battle to secure the signing of Tiemoue Bakayoko, as per Duncan Castles of Daily Record. Jose Mourinho has identified the France U-21 international a the preferred addition to his current midfield options at Old Trafford. The Portuguese is looking to sign Bakayoko in the January transfer window itself. Also in the race for the defensive midfielder are Pep Guardiola’s Manchester City and Antonio Conte’s Chelsea. AS Monaco, who previously refused to listen to any offers, have recognized Bakayoko’s rapid rise in the market, and are now willing to sell. The club, now second in France’s Ligue 1, and having drawn Manchester City in the Champions League, value the 22 year-old at 25 million Euros. With Mourinho looking to rebuild United’s squad into one regularly competing at the highest level, he expects to add 4-5 more big signings over two transfer windows, with his first priorities being a central defender and a new defensive midfielder. 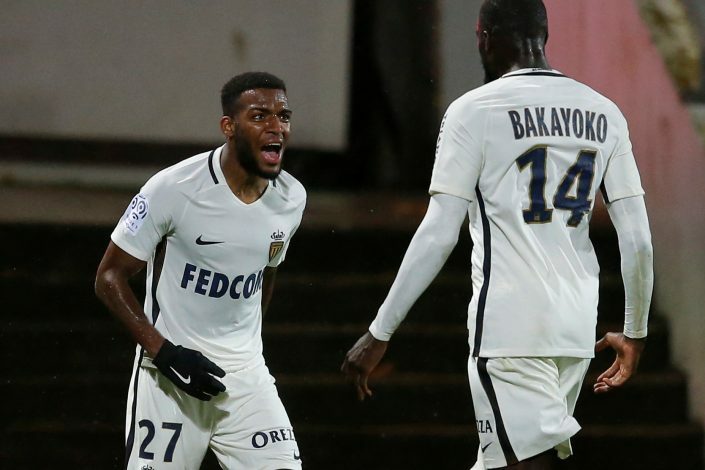 Bakayoko moved to Monaco from Stade Rennais for €6m three years ago. He is now a first team regular, with his standout abilities being his tackling and passing. He has often been likened to one of Mourinho’s additions to his former Chelsea team: Nemanja Matic. Jose is also ready to create space in the squad for Bakayoko by offloading Morgan Schneiderlin. West Bromwich Albion and Everton are his suitors at present. Moreover, United are also ready to sell Memphis Depay and German superstar Bastian Schweinsteiger .